The bizarre murder and disappearance cases associated with Robert Durst have spawned countless articles, TV shows, movies, and books about the multimillionaire scion of a New York real estate empire. Durst's name first surfaced when his wife Kathie went missing in 1982. She has never been found and was declared dead in 2017. Durst has never been charged with Kathie's death and denies any knowledge about what happened to her. Then, some 18 years after Kathie vanished, Durst's longtime friend and confidante Susan Berman was found murdered -- shot execution-style in her Los Angeles home. Her father had been a mobster in Las Vegas and investigators theorized that her death could be connected to either her family's past... or her friend, Robert Durst. Berman had served as Durst's unofficial spokesperson when his wife Kathie disappeared in 1982. Prosecutors now allege that Durst killed Berman in 2000 after he grew concerned that she would reveal his alleged involvement in Kathie's case to authorities. Durst denies any involvement in Berman's murder and has pleaded not guilty after being charged in March 2015. Less than a year after Berman's murder, Durst was arrested for killing an elderly neighbor named Morris Black in Galveston, Texas and scattering Black's dismembered remains in Galveston Bay. Durst claimed he shot Black in self-defense. Durst was acquitted of murder in 2003, but he later served time in prison after pleading guilty to several charges including jumping bond after his arrest and tampering with evidence. For the family of Durst's still-missing wife, Kathie, the stranger-than-fiction saga has been a real-life nightmare for over three decades. During the entire time, her family has firmly believed that Durst is responsible for her disappearance and presumed death. 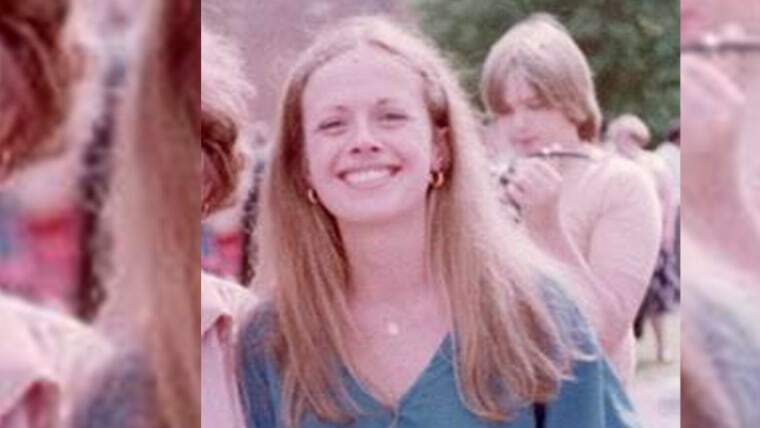 Kathie was 29-years-old and just three months away from finishing medical school when she was last seen on January 31, 1982. Her husband, Robert Durst, says he dropped her off at a train station in South Salem, New York -- headed for Manhattan -- and never saw her again. Friends and family say that the couple was having marital problems. Kathie was reportedly prepared to divorce Durst. Her brother, Jim McCormack, told Dateline that Durst was physically and mentally abusive towards Kathie. On March 14, 2015, the day before the HBO series The Jinx: The Life and Deaths of Robert Durst was scheduled to air its final episode, Durst was arrested in New Orleans, Louisiana and charged with Susan Berman's murder. During the program, Durst was captured on a hot microphone saying, "What the hell did I do? Killed them all, of course." In June 2017, on the eve of what would have been her 65th birthday, Kathie's friends and family gathered for a memorial mass on Long Island, New York -- steps away from her old elementary school. Just three months earlier, a judge had officially declared Kathie Durst dead. "The memorial was to honor all that she stood for and aspired to," Kathie's older brother Jim McCormack told Dateline. "She wanted to be a doctor after, you know, achieving what she did in nursing school. She was only three months away and she would have been caring for mothers to be and babies born… she was gifted and a caring spirit. Very gifted." Jim says that over the years, their family discussed holding a memorial, but it continually got delayed because they didn't have closure. Kathie's body still hasn't been found. Kathie's memorial mass was followed by a luncheon, during which Jim paid tribute to his sister, "Just to give her the recognition of what she stood for, the substance and the soul, and the spirit, that was Kathie… She was an inspiration in some ways to a lot of people including myself." "She would have been a fantastic nurse and doctor", said Evan Kreeger. "My aunt Kathie: The family woman, the hero, the caregiving soul. It is as if Kathie smiles down on all of us now,"
Jim McCormack says he is determined to make sure his sister's memory is not overshadowed by the publicity surrounding Robert Durst. Jim plans to honor Kathie by creating ‘Kathie's Porchlight Foundation’ to provide financial assistance for aspiring doctors and nurses. He hopes it will continue Kathie's legacy of caring for others for years to come. "That's how I'm going to provide a long-term living memorial to her memory," Jim says. "Think of all the doctors who would like to be a doctor, but… they see the economic obstacles and they divert to something else... Things like that, you know, that would keep -- not so much Kathie's dreams alive, but all those young men and young women, their dreams, which is I think what Kathie would want." Jim and his family are convinced that Robert Durst is the only person who can give them the closure they have been so desperately seeking over the years. “The only part of the equation that's missing, for me, is Kathie's remains," Jim says. "I really would like to know what happened. Where is she? You know, is there a way of exhuming whatever?... Bob has got to give us that. He's the only one out there who has that surety of notice." Prosecutor John Lewin, with the Los Angeles County District Attorney's Office, has held several pre-trial hearings and recorded videotaped testimony from potential witnesses to use at the upcoming trial for Berman’s death in the event they are unable to testify. Durst is being held without bail at the Los Angeles County Jail. By the time that trial is expected to start in early 2019, he will be 75 years old. Click here to watch Dateline's most recent report on Robert Durst.